This undated handout photo provided by the Texas Department of Criminal Justice shows Clifton Lamar Williams. HUNTSVILLE, Texas -- A Texas death row inmate won an indefinite reprieve Thursday, hours before he was set to die for the slaying of a 93-year-old woman at her home during a robbery a decade ago. 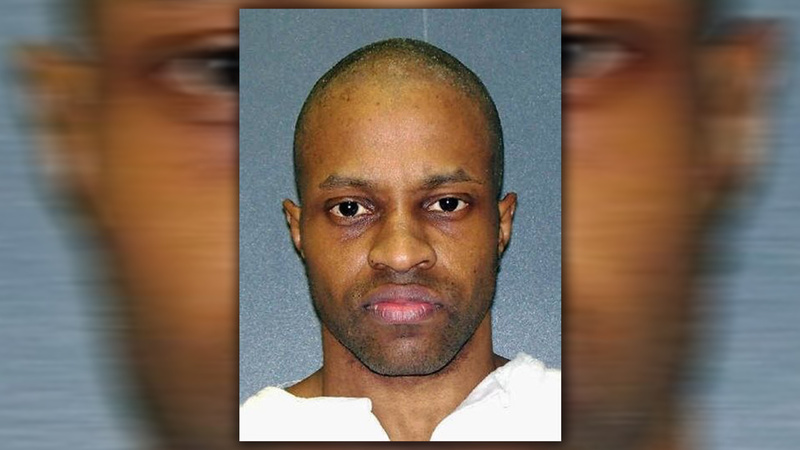 The Texas Court of Criminal of Appeals halted the scheduled lethal injection of Clifton Lamar Williams until questions about some incorrect testimony at his 2006 trial can be resolved. Williams, 31, had faced execution Thursday evening for the killing of Cecelia Schneider of Tyler, about 85 miles east of Dallas. Investigators determined she had been beaten and stabbed before her body and her bed were set on fire. In a brief order, the court agreed to return the case to the trial court in Tyler to review an appeal from Williams' attorneys. They want to examine whether incorrect FBI statistics regarding DNA probabilities in population estimates cited by witnesses could have affected the outcome of Williams' trial. "We need time to look at this," said Seth Kretzer, one of Williams' lawyers. "No way we can investigate this in five hours. "It requires some time, and the CCA saw that." The Texas Department of Public Safety sent a notice June 30 that the FBI-developed population database used by the crime lab in Texas and other states had errors for calculating DNA match statistics in criminal investigations. The Texas Attorney General's Office informed Williams' attorneys of the discrepancy on Wednesday. Prosecutors in Tyler, in Smith County, had opposed Williams' appeal for a reprieve, telling the appeals court the state police agency insisted that corrected figures would have no impact. Williams is black, and prosecutors said the probability of another black person with the same DNA profile found in Schneider's missing car was one in 40 sextillion. Jurors in 2006 were told the probability was one in 43 sextillion. A sextillion is defined as a 1 followed by 21 zeros. Texas Department of Criminal Justice spokesman Robert Hurst said Williams had not yet been moved to a small holding cell outside the death chamber at the Huntsville Unit prison when the court-ordered reprieve was issued. Death row is at another prison about 45 miles to the east. Williams would have been the 10th inmate to receive a lethal injection this year in Texas. The state carries out the death penalty more than any other state, and has at least seven other executions scheduled in the coming months. Challenges to DNA evidence and arguments about Williams' guilt were not included in previous appeals from Williams, whose lawyers had argued unsuccessfully in earlier appeals that his legal help at his trial was deficient and that he was mentally impaired and therefore ineligible for the death penalty. Prosecutors said Williams broke into Schneider's home to get money to buy cocaine. Her missing car was found later that day, wrecked and abandoned. Williams, then 21, was arrested about a week later. Investigators said Williams led police to a pond where Schneider's purse that had contained about $40 was found, along with a knife from her kitchen that investigators believe was used to stab her. According to trial testimony, Williams told a psychiatrist he began smoking marijuana at age 15, started lacing it with embalming fluid, then moved on to cocaine by the time he was 17.